When I approached my friend and fellow practitioner Rod Sherwin about what topic he wanted to talk about in a podcast interview he recommended a conversation about self-compassion. At the time of the interview I was unfamiliar with the word. Self-compassion is in stark contrast to self-esteem. It is all about seeing yourself in the same way as you see others. Often we are supportive and understanding when others fail, but when we fail we are very hard on ourselves. Self-compassion is about being able to extend that same love and understanding towards ourselves. In this interview we explore self-compassion in depth and practical ways in which we can incorporate it into our daily lives and our daily tapping. 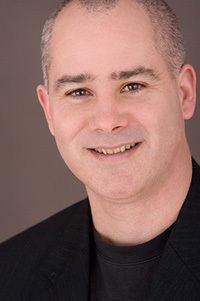 About Rod: Rod Sherwin, known as “the tapping man”, is an Energy Therapist from Melbourne, Australia. Rod runs the Tap4Health EFT Practice and works with clients all over the world on issues such as stress, anxiety, trauma, abuse, anger management, depression, weight loss, public speaking and presenting. Rod’s approach is an unconventional and original combination of genuine warmth, respect, intuition, and skill. Rod’s primary tool is the Emotional Freedom Techniques (EFT) which he combines with his experience in Energy Medicine, Solutions-Focus Brief Therapy, 6-Human Needs Psychology, and Neuro-Associative Conditioning. Rod’s original qualifications are in Computer System Engineering and Computer Science which gives him a very grounded and practical approach that focuses on getting real results. Rod loves spreading the word about EFT and speaks to groups, small and large, including community groups, social groups, and corporates. Rod has lived in Melbourne for since 2005 and, while he enjoys the city life, he is originally from a small country town in North Queensland called Charters Towers. I love your site and deeply appreciate the understanding & wisdom you are so willing to share. I hope to take advantage of all that your are offering. Great podcast. Compassionate self acceptance is a subject close to my heart. As well as Kirsten Neff there is also a guy called Paul Gilbert here in the UK who’s written a long and comprehensive book called The Compassionate Mind. His website has got a lot of useful information / research / articles. http://www.compassionatemind.co.uk Worth checking out if this is of interest to you. I cannot wait to read more about eft in the future! I have heard of Rod before through my friend and we can’t wait to meet him one day. Me and my sister share the same passion as Rod and we want a lot of people to know about EFT and how it can positively affect the lives of many.